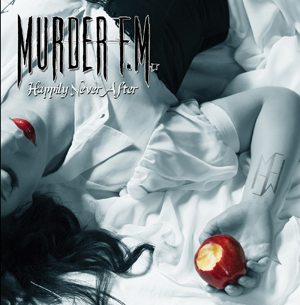 Texas-based rockers MURDER FM have announced the release of their brand new album, Happily Never After, which will be out on August 7th on Famous Records Global/ Pavement/ MRI/ Sony Red. The album features a remix of their track "We The Evil" by Tommy Lee, plus a guest appearance by Will Hunt of EVANESCENCE. The album was produced by platinum Legend Beau Hill. Born and bred in Dallas, TX, MURDER FM was formed as an outlet for the frustrated youth spent writing music in the dark dusty corners of TX. Following independent success with singles supported with domestic and international touring, MURDER FM perfected their sound and stage presence. Their rising success was based largely in part by their shocking and elaborate videos which received much attention and impressive view numbers on Youtube. The band also gained lots of positive international press which carried over to The States and led to supporting slots with ROB ZOMBIE, DEFTONES, FIVE FINGER DEATH PUNCH, POP EVIL and many more. With a full length LP in tow, MURDER FM are set to release their passion and unique brand of Rock/Industrial style Metal to the world.